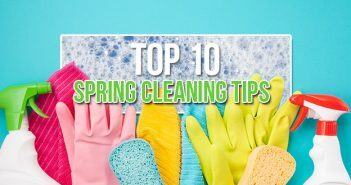 Organizing a neighborhood cleanup can be a great way to connect with your neighbors and increase the overall value of your home. However, if you are the one organizing the entire process, there are a lot of pieces and parts you’ll need to keep track of. Here is my fool-proof guide to organizing and implementing a neighborhood cleanup project. If you want to get your community involved with your cleanup project, you first need to get the word out. Make up some flyers about starting a neighborhood cleanup group and set a date for the meeting. Be sure to include when and where the meeting will be held, as well as how people can contact you about the meeting. Post these flyers on light poles, at your library, local coffee shop and on any and all social media you use. Once people have heard about the meeting through your flyers and social media posts, actually have the meeting. You can have the meeting in your home, town hall, a room in the library or wherever you think the most people will come. It is not necessary to go overboard with the meeting, but it may be nice to set out some snacks and drinks for your guests. In the meeting, it is important to set a date and time that will work for everyone and if not everyone, then most. If it is possible, you should try to pick a day with good weather. This means a day where it is not supposed to rain or be too hot or too cold. The better the weather, the more people that will show up to help. You should also set away at least two days for your project. It’s important to know who is in charge of what when it comes to preparing and implementing the neighborhood cleanup. Make sure there is someone responsible for every little detail. Assign people to certain parts of the neighborhood and make sure everyone knows what they can and cannot throw away. One key component to organizing a neighborhood cleanup is to order a roll-off dumpster. You can rent a dumpster for these types of projects in almost any city across the US. Having a dumpster in your neighborhood, allows for easy disposal of all the trash you will be collecting. Some companies will even donate a dumpster to your project, you can go to www.budgetdumpster.com for more information. When everything is said and done, you may want to look back on what you did and what worked and what didn’t work. This will be a great way to do the project again next year and improve upon what didn’t work out so well. Keeping meticulous notes will be extremely helpful to decide if your project was worth the effort. Now that you have read our fool-proof guide to planning and organizing a neighborhood cleanup, you can start your own. 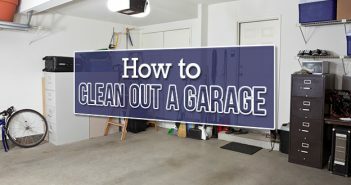 I hope this post has helped you decide to clean up your community and when you are ready to start planning, be sure to keep Budget Dumpster in mind. Thanks for reading and as always, feel free to leave us a comment in the section below!